В 1918 году Винсент Бурнелли сформулировал концепцию самолета с фюзеляжем, способным создавать подъемную силу, и в течение нескольких последующих лет разрабатывал и пропагандировал идею самолета с несущим фюзеляжем. Первым воплощением концепции Бурнелли стал созданный в 1920 году биплан Remington Burnelli Airliner, за которым в 1924 году последовал грузовой биплан RB-2. SOME brief particulars, which we reproduce herewith, of a very interesting machine are given in our American contemporaries Aviation and Aerial Age. 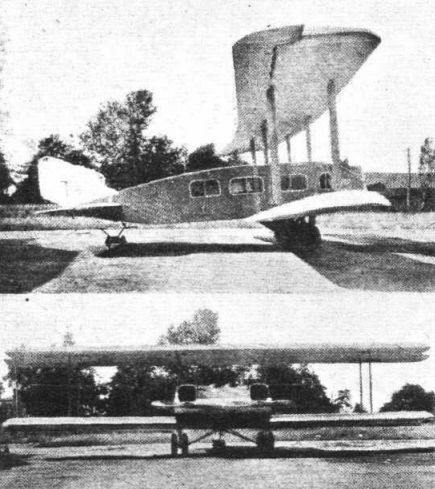 As will be seen from the accompanying illustrations, this machine, which has been built by the Airliner Engineering Corp., of Amityville, Long Island, to the designs of Vincent J. Burnelli, is a large commercial biplane of distinctive appearance, embodying a great number of original ideas. 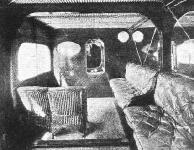 Chief among these is the great width of the fuselage, which may be visualised from the view showing one-half of the cabin. The fuselage is 14 ft. wide in front and is built in the shape of an aerofoil; it thus contributes to the lift of the machine. The power plant is composed of two Liberty XII 400 h.p. engines driving tractor propellers. Owing to the width of the fuselage it was possible to house both engines in the nose instead of mounting them in separate wing nacelles. A great deal of parasite resistance was thus done away with and the arrangement has the further advantage that it enables the mechanic to adjust the engines in flight. Although no constructional details of the Airliner are as yet available, the following particulars will be of interest. The span of the machine, on both upper and lower wings, is 74 ft. 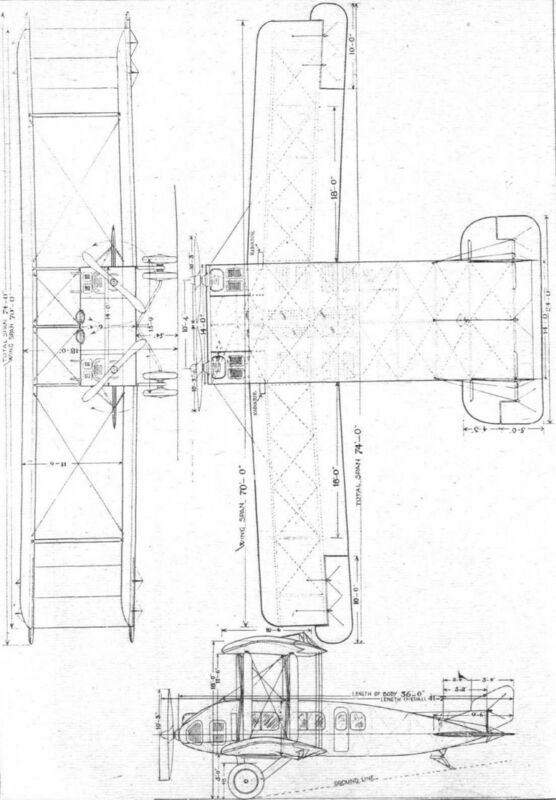 The designed wing loading is 9 lb./sq. ft. and the aerofoil shaped fuselage contributes to the lift by carrying 5 lb./sq. ft. The weight empty is about 8,000 lb. and the possible gross weight is estimated at 14,637 lb. The normal fuel capacity of the machine is for a flight of 7 1/2 hours, although more fuel can, of course, be carried if the number of passengers is reduced. Seating accommodation is provided for thirty passengers. The fuselage is built up on three transverse plywood partitions and is covered with corrugated duralumin. The forward section houses two pilots, for whom a dual control set is provided, and the mechanics. The next two sections constitute the passenger compartment, which is fitted with comfortable cushioned seats. The rear section tapers in height but not in width to a horizontal knife edge and carries the tail unit. This consists of a horizontal stabiliser with a one-piece elevator and of two vertical fins and two rudders mounted on edges of the fuselage. The wings are built in orthodox fashion, being fabric surfaced over a wooden framework, and carry balanced ailerons. The landing gear consists of two V structures carrying rubber sprung twin wheels, which are stayed at the centerline of the fuselage by means of steel struts. Full test flights of the Airliner will take place shortly. A short trial flight was achieved on June 21, at Curtiss Field, Long Island, when Bert Acosta took up the machine after running the engines for a while on the ground and flew it to Mutchel Field, where he made a perfect landing. Length overall 41 ft. 2 ins. Height 18 ft. 0 ins. Span 74 ft. 0 ins. Chord 10 ft. 6 ins. Gap 11 ft. 6 ins. Load per sq. ft. (wings) 9 lbs. Load per sq. ft. [fuselage) 5 lbs. Upper wing 735 sq. ft.
Lower wing 588 sq. ft.
Total lifting surface 1,827 sq. ft.
Regulation 25 passenger load or bombs 3,500 lbs. Petrol, oil, etc. 3,000 lbs. Weight of machine empty 8,137 lbs. Weight of machine loaded 14,637 lbs. 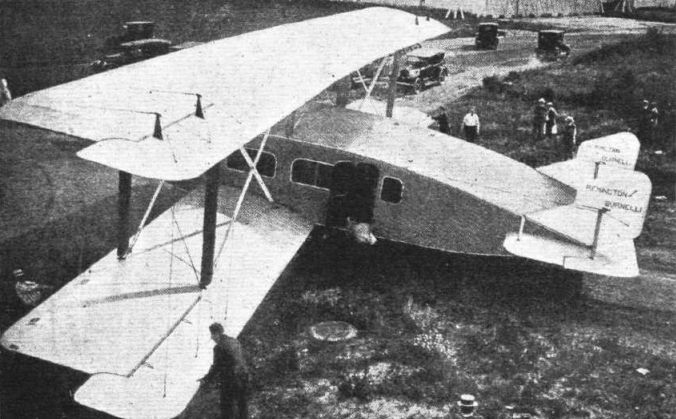 Another view of the Remington-Burnelli "Airliner." The Mummert "Baby Vamp'' Sportplane: A contrast in sizes. The "Baby," of 18 ft. span and 25 h.p. in front of the Remington-Burnelli 30-passenger twin-engine biplane of 74 ft. span and 800 h.p. - both of which were tested the same day by Bert Acosta. 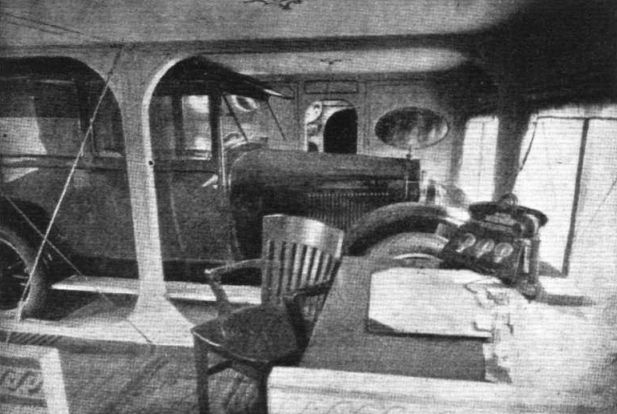 An interior view of the port side of the passengers' cabin, the full accommodation of which is 30. An Aerial Show-Room for Motor Cars: Our picture shows an interior view of the cabin of the American Remington Burnelli "RB2" air liner fitted up as a motor-car showroom, complete with an Essex motor-car, and office equipment. So fitted, it carried out an aerial tour, with eight passengers, in the States. The fuselage of the "RB2," it may be mentioned, is exceptionally wide and deep, forming, in side elevation, the contour of an aerofoil. 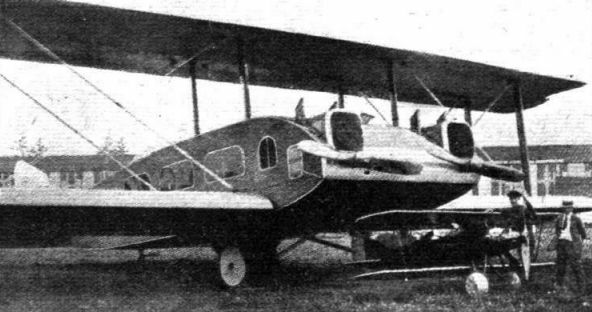 THE REMINGTON-BURNELLI "AIRLINER" TWIN-ENGINE COMMERCIAL BIPLANE. General arrangement drawings.